Even as online apparel and footwear merchants keep experimenting on evolving technologies that will help them better customer experience, i95Dev is proud to announce the successful implementation of RMS (Retail Management System) Dimension integration with Magento that allows customers to view products through different attributes like color, size and anything that differentiates the fabric or the product. For managing a physical store and an online store and for a good synchronization between the two interfaces, the Dimension Feature (inbuilt already in RMS) was introduced on the Magento platform as well. The team at i95Dev has successfully built this feature on the Magento interface. 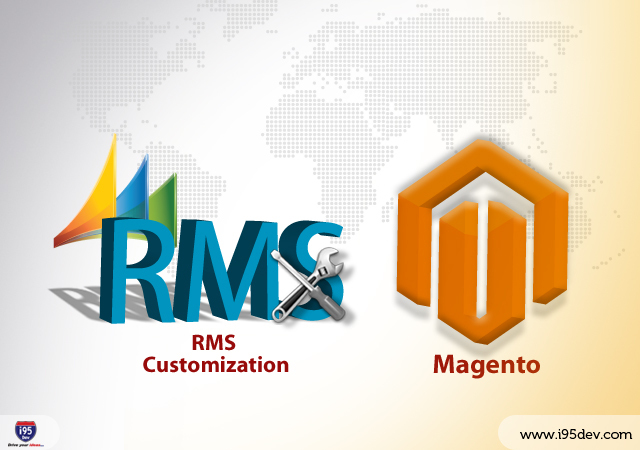 Dimensions were created on the Magento interface so that the different attributes of a product would get updated on both the interfaces from RMS to Magento and vice-versa. The need for this customization arises from the very own fact that if any online merchant specially in the footwear/apparel industry wants to enable its customers to search for a particular product using different attributes be it the size or color, it can’t possibly be done without having this customization in place. This customization has not just enabled attribute searching but also enabled the online merchants to upload pictures based upon each color set. What better an experience can you give to your customers more than making their shopping experience a true delight? This is exactly what this customization will help you achieve for every customer who will land on your Website to make a purchase. i95Dev holding intensive expertise for years together now understands what is that one thing that will grow your online business and sales right be it the simplest or the most complex customization. Get in touch with our experts today to know what is required to take your business to the next level with maximum customer satisfaction.